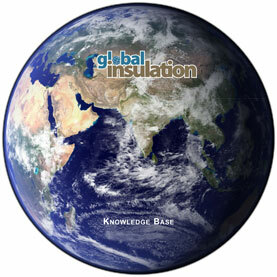 Global Insulation was established in 2007 and has become known as the industry's foremost independent provider of information and events for the world-wide insulation industry. 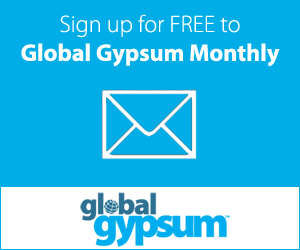 Global Insulation Magazine (which was merged with Global Gypsum Magazine in 2009) published news and articles on insulation technology and production advances, while the ongoing Global Insulation Conference and Exhibition continues to showcase the state-of-the-art in the global insulation industry. Note: Where a written paper has been made available by the author, the written paper is included in the Proceedings volume; when no written paper was made available, the powerpoint slides - if available - were included in the proceedings volume. (pdf format, converted from Powerpoint format). Paper 4: EPD preparation: Pitfalls for European harmonisation: Ulbert Hofstra: SGS Intron Certificatie B.V.
Paper 5: Seeing the unseen - disruptive new insulation materials: Grazyna Mitchener: PolyChemTech Ltd.
Paper 6: Very high performance insulations: where do they ‘fit’? Diana Fisler: Johns Manville Co.
Paper 8: Advances in use of Converge CO2-based polyols for use in rigid insulation foam: Simon Waddington: Novomer Inc.
Paper 14: Improvements in performance of insulation foam based on Converge CO2 based polyols; Simon Waddington; Novomer Inc.
Paper 8 Can space technology insulate our houses? Dr. Grazyna Mitchener: PolyChemTech Ltd.
Paper 3 Mineral wool production CO2 emission, studies on its absorption aimed at obtaining useful chemicals: Roberto Massini: STM Technologies S.r.l. Paper 8 From manual to automated operation - from idea to patented machine: Per Nissen: Qubiqa: Ayhan Gökbag: ODE YALITIM A.S.
Paper 5 Reflective insulations - internationally: David Yarbrough: R&D Services, Inc.
Paper 6 Reflective Insulation for Ductwork and Piping: Michael Joyce: R&D Services, Inc.
Paper 8 Advanced Concept-Reflective Insulation: David Yarborough: R&D Services, Inc.
Paper 12 Commissioning of two stone wool production lines in Russian Federation: Janko Sink: Izoteh d.o.o.